Above: sod cutting to mark the start of development work at Northborough Village Hall made possible through funding from the LEADER programme. Project outline: To extend Northborough Village Hall so it could accommodate more community events and provide better facilities for residents. 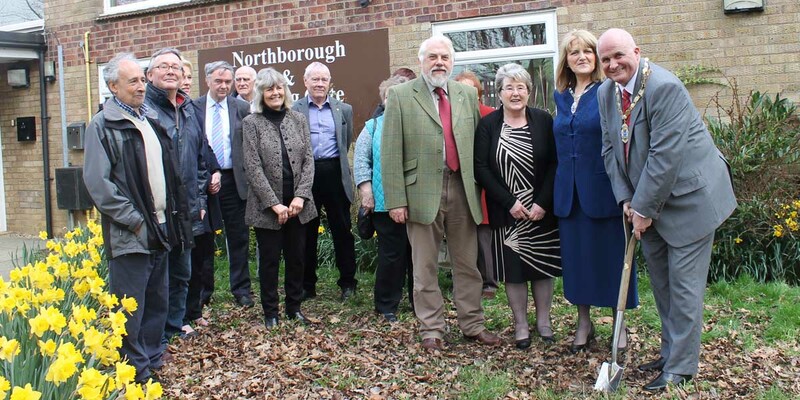 Northborough Village Hall has always been at the heart of this rural community located just a short drive north of Peterborough. 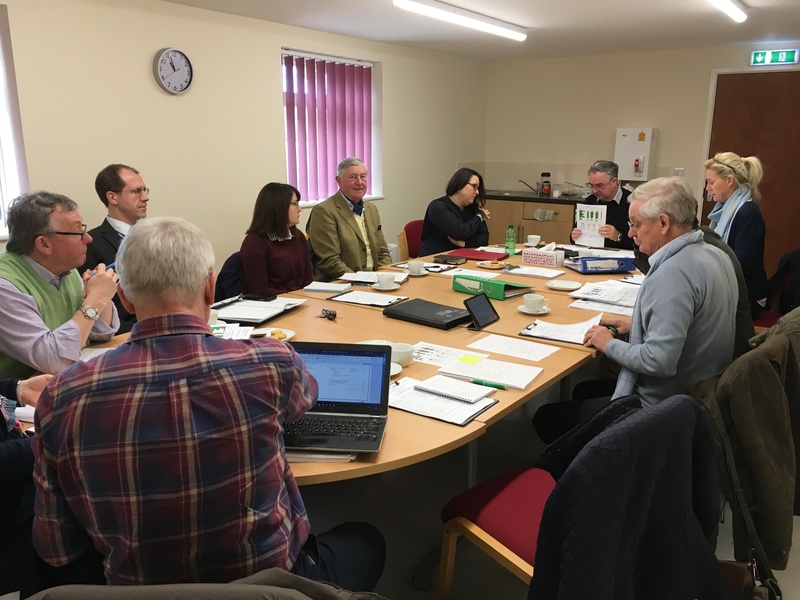 Thanks to a £29,000 grant from the European funded LEADER programme, it now boasts modern amenities and an extra room, providing much more space to accommodate the requirements of this growing village. The hall provides an important hub for the village’s socially active residents who host hundreds of community events and get-togethers for all age ranges throughout the year. With so much going on the main hall is rarely out of use and the extension has proved an invaluable asset. Jessica Phillips of Northborough Community Association said: “The village hall is such a well-used space and we’re delighted to be able to take on more bookings. We’ve already got 5 groups regularly using the new room including parish council meetings, craft groups, even an art class! Below: image of the new meeting room being used by the LAG. The Rural Peterborough and Rutland LEADER programme has a total funding pot of £1 million available for local projects. Funding has been available since 2015 but local organisations only have until March 2019 to make a claim. 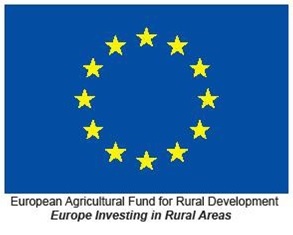 * To be eligible, projects must meet at least one of six criteria: increasing farm productivity, supporting micro and small businesses and farm diversification, boosting rural tourism, providing rural services, providing cultural and heritage activity and increasing forestry production.